Mark Rothko’s suicidal death meant the end of an era in painting. Mr. Rothko died in the year of my birth. There will never be another like him. The first time I saw one of his paintings at The Art Institute of Chicago I was, quite frankly, overwhelmed and moved to tears. Mere words attempted to describe the life I saw and felt in his paintings only proved to be vastly inadequate. There is nothing like seeing a Rothko original. The sheer size is such that you almost want to fall into the canvas. I think I almost did….fall. I was weak in the knees. I was never the same again. Rothko inspired me to secretly want to become a painter…to BE a painter. It was a few years before I found the courage to pick up a brush and dip it into oil. I will forever be grateful to a man whose life was over before mine began. His use of form and color are sublime. His art taught me to translate to the canvas that which I am unable to articulate or express in words. His work taught me how to appreciate and interpret art for art. His paintings were not literal interpretations of the world we see with our eyes or photograph with our cameras. His paintings were moods, and feelings, and deep, complex emotions. Mark Rothko spoke an unspoken language that resonates with my soul. It is a language which I intuitively understand. It is both a whisper and a storm. It is life and death. One of his paintings just sold for $86.9 million dollars at an art auction at Christie’s in New York. It was simply titled: “Orange, Red, Yellow.” Even if Mr. Rothko were alive today…I don’t think he would have been impressed with the monetary value of this sale…not in the least. This particular painting broke the all-time sales record for an abstract expressionist painter, ever. The ironic thing is that Mr. Rothko didn’t consider himself an abstractionist. I leave you with a final quote of his. Interesting to me that in both life death, he was and is still sadly misunderstood…by most. Perhaps that is partially why his life ended so purposefully and so abruptly on that cold winter day in February, 1970. I am an oil painter, a photographer, and a writer who lives in San Francisco, California. I was an emergency RN and Clinical Nurse Specialist for 15 years and have now decided to embark on a new adventure and pursue that which makes me feel alive. My love for animals, nature, the sky, art, San Francisco, and its colorful inhabitants are what sustain me. I am grateful that you have taken the time to visit my blog. Please check out my oil paintings and photography at: www.FairesFineArt.com. I am going to the Tate to see what’s currently on display of the Seagram murals tomorrow, for a third time — fourth if you count the big show that was on a few years back. Your own MOMA in SF has quite a few Rothko works too though I gather that only one is on display at the moment. Rothko would be the first to admit he was no draftsman, but it’s not just his “color fields” that are great. I was similarly moved by seeing his painting ‘Slow Swirl at the Edge of the Sea’, and that is not in his signature style except for it’s huge dimensions…so maybe it is as much a question of scale as it is colour. Thank you for sharing “Slow Swirl at the Edge of the Sea”. I had never seen that one for some strange reason. I am completely moved by it. 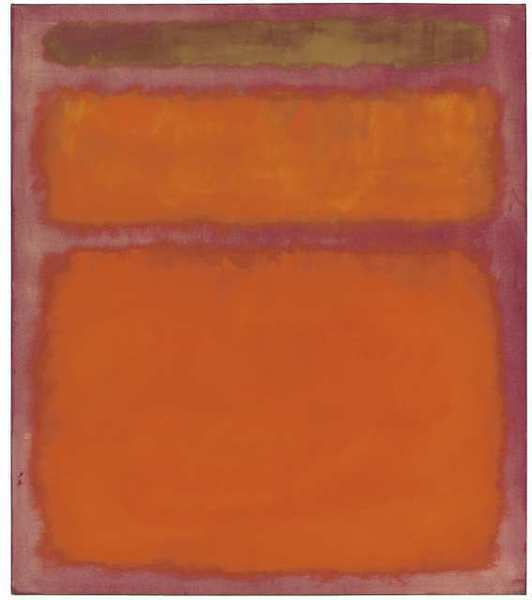 I just listened to some audio that his son recorded explaining some of what that beautiful piece represented for Rothko. He said it used to hang above the couch in their NYC brownstone. It represented the romantic courtship dance that existed between Rothko’s second wife, his mother, and his dad. He said this piece was completed when Rothko was living by very modest means and was really struggling to get his voice, and his work, heard. Interesting and moving piece for me. Thank you for enlightening me. I am so envious of your visit to the Tate tomorrow. How fantastic! Have a wonderful time. I have no doubt that you will. If you are able to snap any pictures, I would LOVE to see them. If you are so inclined, my email address is: kimbyfaires@gmail.com. You can also reach me directly from my website at: http://www.FairesFineArt.com. Just go to the ‘contact page’. No pressure….only if the ‘spirit’ moves you.